We combine the methodologies of Visual Thinking, visual facilitation, collective creation, group methodologies and team coaching among others, with the aim of helping teams and organizations to respond to their challenges. You will drive the necessary changes, you will get closer to your dream. And something new will arise. They help us to capture the intuition and ideas that emerge in your team. 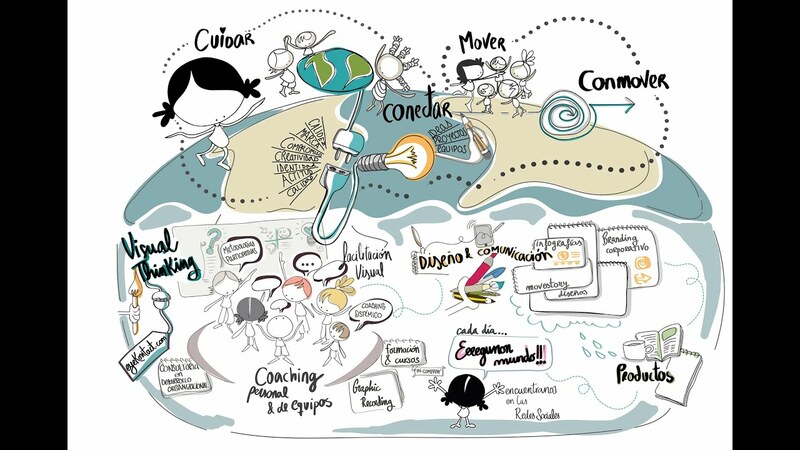 Find out more about "Visual Thinking and graphic facilitation"
We foster reflection on the place that people occupy in the organization and their role in it. Find out more about "Systemic Coaching"
We facilitate the identification of the challenges as well as the resources that you have to be able to cope with them. Find out more about "Team and personnel coaching"
Generates trust and strengthens the team’s skills and competences. Find out more about "Participative methodologies"
We accompany you to activate your #VisualLanguage and that of your team, in a simple, effective manner and with impact. We will create together a common narrative that helps us to recognise&visualise our present, connect with our history, our values, our way of Being and make and venture into possible scenarios. in which we talk about Visual Thinking.